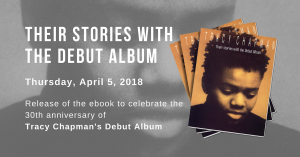 A very special event: world-famous artist Tracy Chapman will sing June 27 in Warsaw. A rebel, influential social activist, and winner of four Grammies, she will perform at the Kongresowa Hall at her only concert in Poland. Chapman will promote her latest album, Where You Live. It came out at the end of last year and features artists including Flea of the Red Hot Chili Peppers and keyboard player Mitchell Forom, known for his work with Paul McCartney and Sheryl Crow. The record is the seventh of Chapman’s career. The best known pieces come from her debut album released in 1988. Fast Car, Talkin’ Bout A Revolution and Baby Can I Hold You won her three Grammies and launched her career. Chapman’s lyrics speak of love, dreams, threats and human weakness. The Give Me One Reason blues single from her album New Beginning released in 1995 brought the artist her fourth Grammy. The latest album has 11 original compositions, with Chapman having collaborated with Peter Gabriel, Pearl Jam, Suzanne Vega and Sheryl Crow. Malgorzata: Tracy in Warsaw: It was Tracy’s firs time in Warsaw, first time in Poland and most of the audience experienced her live music for the first time – including myself. I’ve waited for her concert so many years and what I got in return? An absolutely breathtaking performance! This concert was just – and as much as – her wonderful music: songs from new albut perfectly fitted into a great selection of older hits. She knew exactly what we wanted to hear and she played it for us! Most precious moments during the concert for me? Opening ‘Say Hallelujah’, surprising ‘Telling Stories’, touching ‘Never Yours’ and beloved ‘Baby can I hold you’. I’ve always known that Tracy’s concert would be the best in my life. And it so much proved to be! !